I get asked all the time to by my clients to provide a way to direct download URL to a file and NOTpreview the file in the Google Drive pre-viewer, especially if the file is large. It’s often very confusing for novice users to have preview mode of file, such as PDF files which launch a separate user GDrive interface. Moreover, if the file is over 100Mb, the preview appears too slowly for most users, and they’ll abandon the file. So I came up with this online mini “App”, it takes a GDrive Share Link and returns the direct download URL for that file, without a GDrive preview. 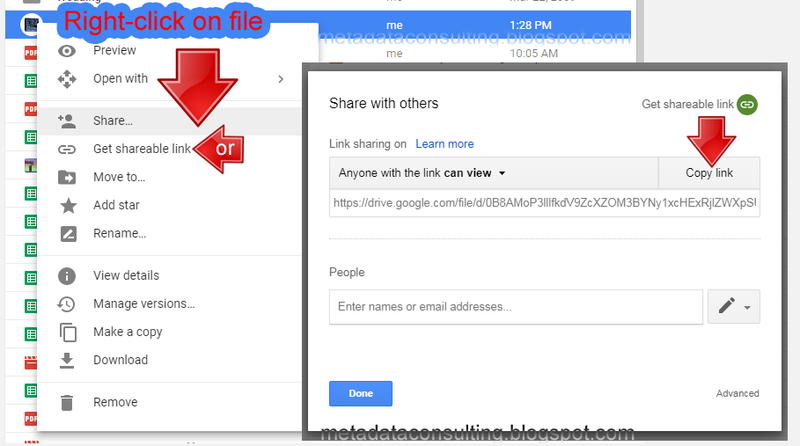 It handles both Share and get shareable link menu items (see image below). Text-box will be highlighted so you can copy the full link. To copy, right-click and choose “Copy” or simply (ctrl-c) to copy link. Note: Entire URL is automatic selected for your convenience. 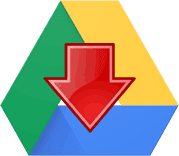 Related Posts of "How to get a Google GDrive Direct Download Link"